With the temperature dropping and winter creeping in, Penrith CBD Corporation has launched its annual Homeless Winter Appeal. 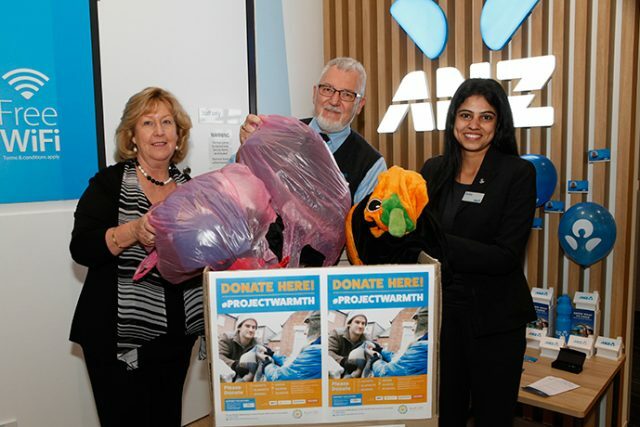 This year’s appeal, #ProjectWarmth, has Penrith CBD Corporation working with ANZ Bank and Wentworth Community Housing to provide winter clothing to those who are facing the colder weather without a house to go home to. The appeal is asking Penrith businesses and the wider community for donations of quality winter clothing. CEO of Penrith CBD Corporation, Gai Hawthorn stressed the importance of the appeal and encouraged people to donate. “Socks are a big one, we’re really keen for socks. Those sorts of things always help,” she said. She also encourages people to donate children’s clothing when they can, as well as adult sizes, because “kids need beanies and scarves and jackets as well”. The appeal will run throughout June and July and clothing bins will be situated in a variety of locations in Penrith including ANZ Bank, MP Stuart Ayres’ office and MP Emma Husar’s office.